You would like to be informed about Hanne Darboven's new arrivals in advance? Register now for free! Hanne Darboven was a protagonist for the conceptual art movement. After she had learned to leave traditional painting behind during her studies in Hamburg, Germany she developed her individual style in close proximity to New York’s minimal art scene which she was in close touch with during the 1960s. Especially famous are Hanne Darboven’s artworks and editions of her numeral series. This particular form of artistic expression is based on a complex counting system she developed herself. Her serial numerals come in endless variations. Writing these numbers for hours at a time seemed to manifest the fleeting dimension of time in the eyes of Hanne Darboven. While she restrict herself to numbers only in the beginning she later mixed images and numbers. 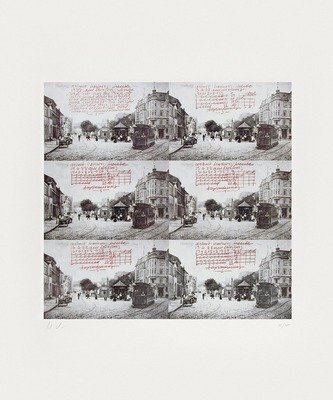 Hanne Darboven’s artworks and editions were well received during her lifetime and are part of famous collections such as the Centre Pompidou Paris, Städel Frankfurt and Hambuger Bahnhof in Berlin. You want to learn more about the artist? 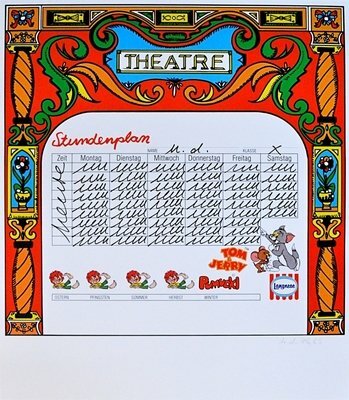 Visit Hanne Darboven to get more details about the artist's works. 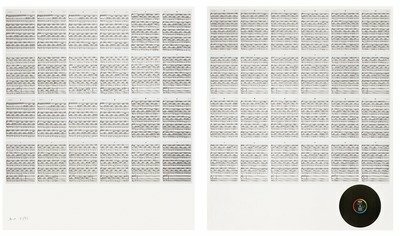 You want to buy artworks and editions of Hanne Darboven, but you have further questions? We collected detailed information for this purpose.